Did you know that Redbud Development can also help you with interior home improvement projects? That is right. Over winter when the weather is too cold to work outdoors, we shift our focus to the inside. 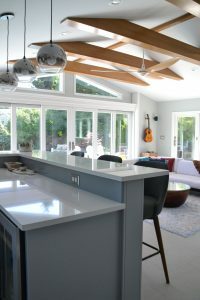 In the last several years, we completed a bathroom and kitchen renovation for a client who originally hired us to build them a garage and deck and associated plantings. The client was so confident in our project management skills that they requested us for their interior project as well. Check out the completion photos in the “Featured Projects” section of our Portfolio. 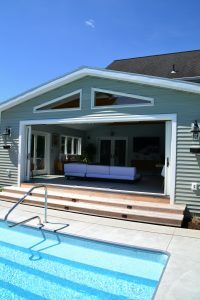 Redbud has also recently built an addition to a house that functions as a great room and a pool cabana! The new space includes a bathroom, a bar area, vaulted ceilings and a large sitting area. The addition has enormous sliding doors with a 26 foot opening. When these doors are open you feel like you are outside. What is even better is that these doors open right up to their gorgeous pool and patio. Talk about outdoor living! 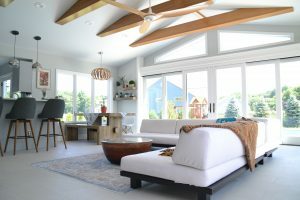 This great space can be their “lanai” in summer and then simply close the door when the weather gets cold and they have a bright and open great room for the winter months. Consider Redbud for your next home improvement project. We can help you plan a great interior space as well as an awesome outdoor living space. There are so many opportunities for a homeowner to maximize their existing footprint to blend better with the outdoors. Garages and sheds can also be re-purposed or renovated to serve multiple purposes. 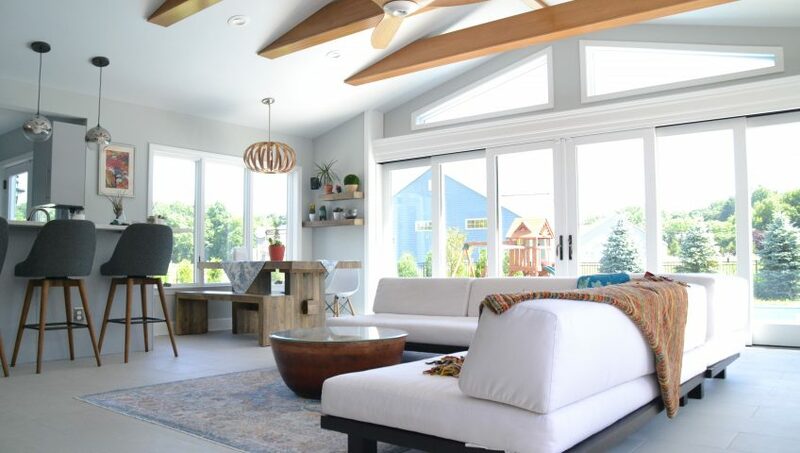 A little creativity and good design can help you to create space you enjoy spending time in with family and friends. Contact us today to see what your interior home improvement possibilities are!